While most people think of physical disabilities in the context of Social Security Disability benefits, a sizable number are incapacitated as a result of psychological illness. According to a recent news report from Medical News, the Institute of Medicine is calling for use of standardized psychological testing protocols for claimants applying for Social Security Disability Insurance benefits. It has been suggested these standardized methods will improve accuracy of claim determinations relating to mental health issues. However, those who favor this approach tend to believe it would save the United States Social Security Administration money, because it would reduce the number of people receiving Social Security disability benefits for reasons of mental illness. This, of course, assumes there are many people who claim to have severe mental health issues and cannot work who are essentially faking their illness to avoid working, or “malingering,” to use a term favored by SSA. 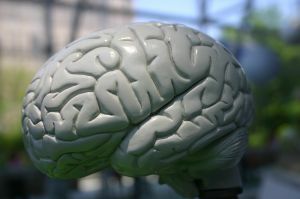 It should be noted, the organization behind this initiative believes further study would be necessary to see how standardized psychological testing methods would affect the number of Americans claiming disability, but the organization’s report includes methodology for determining the financial impact of standardized testing protocols. These standardized testing methods are what is known as a validity testing and would be used in conjunction with standard psychological diagnostic tools already used by most mental health professionals. Proponents also claim validity tests can be used to see how much effort a claimant is putting into the process of performing tests, or if they are trying not to do well on cognitive ability assessment exercises. This report also highlights the importance of validity testing when a claimant is asserting mental health conditions as reason for disability, and the evidence is limited claimant’s self-reporting of mental illness to a doctor or on the application itself. Without any objective evidence, report writers assert, there would be no way to assess the validity of claim based largely on psychological illness. However, as our Boston disability attorneys can explain, this article seems to make the assumption there are many people receiving Social Security Disability Insurance benefits who are not in fact disabled, which is not correct. This becomes obvious when we take a closer look at the disability application process. It is not as if someone can claim disability based upon mental illness and SSA will approve his or her application without much resistance. In reality, far more than half of all applicants are denied at first, without regard to a claimant’s level of disability. This is essentially agency policy. It is only after a series of written appeals, and a hearing before an administrative law judge, often with assistance from an experienced SSDI attorney, that SSA will eventually approve a claimant’s application. In some cases, even after a hearing before an ALJ, with sufficient evidence presented on claimant’s behalf, an application for disability benefits will be denied for no reason at all. In these circumstances, a claimant, with the help of experienced SSDI appeals attorney, may be able to convince a court to order SSA give claimant benefits to which he or she is justly required to receive.